Panthers beat #13 team in the country. There wasn’t a single HBCU ranked in any of the Division II preseason polls and Clark Atlanta University offered a rebuttal in its season opener. The Panthers went on the road to defeat #13 Rollins College in a 106-103 shootout behind 28 points from newcomer Jamal Pollydore. CAU had four players in double figures as it opened defense of its SIAC Championship under second-year head coach Darrell Walker. Junior guard Jamal Pollydore made his Panther debut with 28 points on 10-16 shooting, eight of those three-pointers. The 6’2″ 180-pound guard is a Brooklyn, NY native and comes to CAU from Niagra Community College. The Brooklyn connection was in full force on Friday, Pollydore’s backcourt mate Anthony Williams chipped in 24 points, going 6-10 from deep. Williams is a returning senior for CAU and hails from Brooklyn as well. The Panthers trailed by 17 points at halftime but outscored Rollins by 20 in the second half. 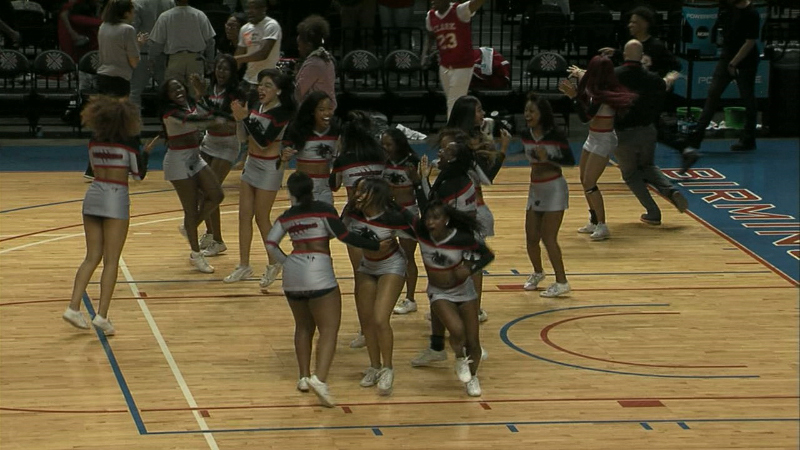 Both CAU and Morehouse played today in Winter Park, Florida as part of the NCAA South Regional Tip-Off Classic. Morehouse won earlier in the day defeating Florida Institute of Technology 87-82. The members of the AUC will switch dance partners tomorrow. CAU will face Florida Tech at noon on Saturday. Morehouse will face Rollins at 2pm.